Break the cauliflower into florets and pulse in a food processor until fine. Steam in a steamer basket and drain well. Let cool. In a bowl, combine the cauliflower with the mozzarella, parmesan, oregano, salt, garlic powder and eggs. 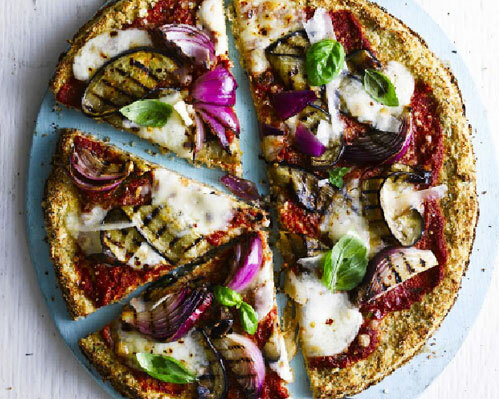 Line a pizza tray with baking paper and transfer the cauliflower mixture to the centre of the baking paper. Spread into a circle, resembling a pizza crust. Bake for 20 minutes.